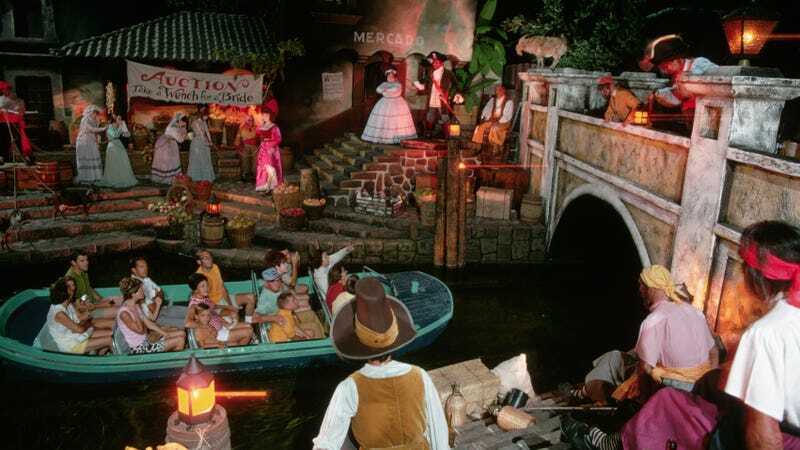 We regret to inform the children of the world that one of their most beloved and innocent expressions of joy is now at an end: No longer are youths riding the Pirates Of The Caribbean ride at Disney World in Orlando going to experience the vicarious joys of auctioning off women as sexual property. You know, kids’ stuff. Luckily, Johnny Depp is still present on the ride to warn kids of the dangers of too many scarves.